The Ministry of Foreign Affairs has expressed the need for a new campus as a result of a growing spatial program reaching 220.000 m2s and the inadequacy of the existing ministry buildings. 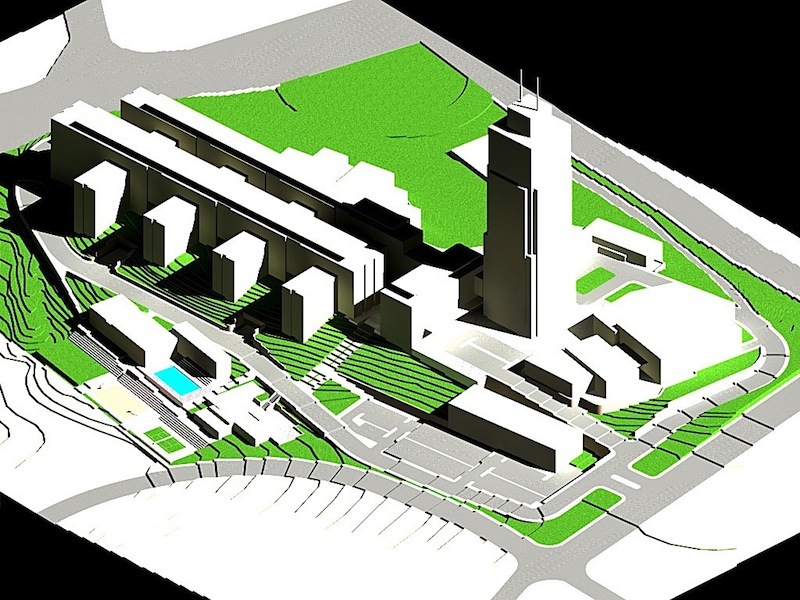 The site, proposed for the new campus, is approximately 140.000 m2s, easily accessible from METU and the Yüzüncü Yıl district. In our proposal, concerns regarding the existing site (orientation, conservation of the planted area, site slopes, access) and the most efficient way of placing the 220.000 sqm program in the site have been effective on the planning of new campus. 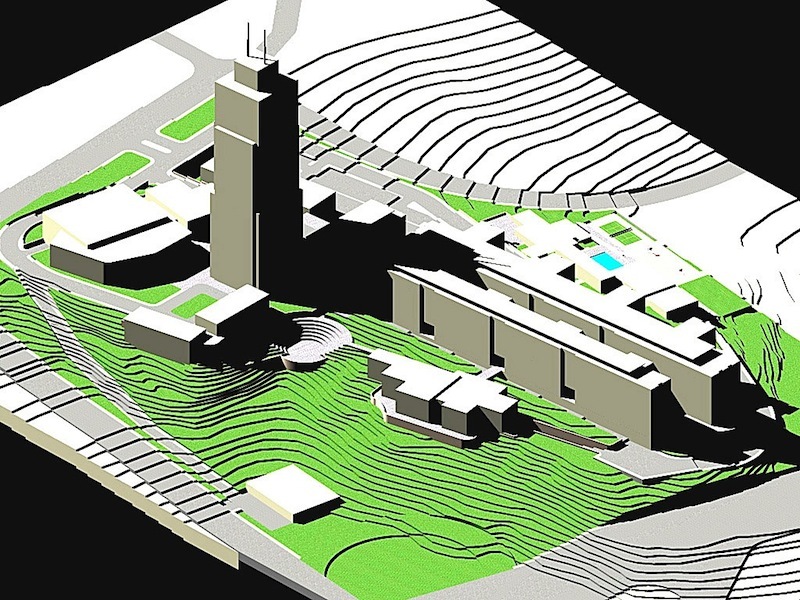 The main settlement principles of the site plan could be expressed as, leaving the ridge at +1027.00 level, the most significant feature of the site, for pedestrian use; leaving the levels underneath the pedestrian use for service and covered garages; utilizing the ridge and the upper sides of the ridge for daily use by the Ministry; creating a pedestrian circulation path interconnecting the buildings; connecting this pedestrian axis, located between the Political Blocks and going through the blocks under the Minister’s Block both to the Minister’s Block and the square in front of the Administrative Block .